Happen to have a $650 radio jammer and an inclination to be mischievous? According to Virginia Tech researchers, anyone who does could effectively cripple the 4G-LTE connectivity for their entire neighborhood. Even worse though -- throw an inexpensive power amplifier into the mix -- and suddenly you have a device which can blot out LTE communications across entire cities. This discovery is likely to be little surprise for anyone familiar with wireless communications; however, the ease with which it can be done alarmed researchers. While jamming any radio frequency is simple as overwhelming it with high-powered transmissions -- essentially a denial of service attack -- LTE is far more sensitive to such methods. 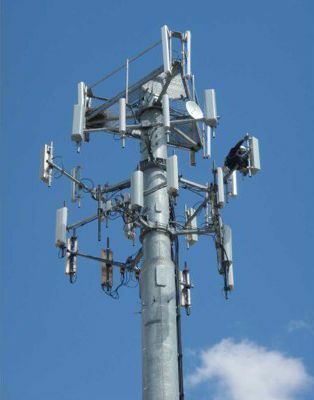 LTE depends on just one percent of its signal to provide transmission control instructions. By utilizing a programmable radio jammer, hackers can narrow in on control channels and focus their attack, rendering the entire band useless for LTE. "If you can disrupt that synchronization, you will not be able to send or receive data." one researcher told MIT Technology Review. "There are multiple weak spots—about eight different attacks are possible. The LTE signal is very complex, made up of many subsystems, and in each case, if you take out one subsystem, you take out the entire base station." With alternatives (i.e. slower networks) being phased out by carriers, researchers worry such an attack could leave the public vulnerable. It wouldn't be just a matter of not getting your email either, but rather an issue that extends to public safety and commerce. Some police departments (pdf), for example, have been flirting with the prospect of utilizing LTE. Another such example is FirstNet (pdf), a proposed national emergency response system also based on LTE. Researchers said they've identified the problem, but coming up with solutions is another matter. "It’s virtually impossible to bring in mitigation strategies that are also backward-compatible," one member warned. The group has shared its findings (pdf) with the U.S. National Telecommunications and Information Administration (NTIA).